 Services - iusb - Promotional USBs like no other. - iusb - Promotional USBs like no other. 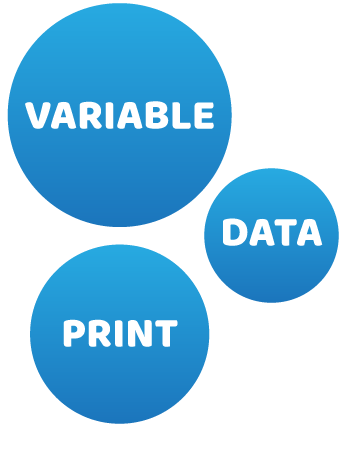 From printing to data loading, we do it all.  Need to set up your artwork? Our designers can help! 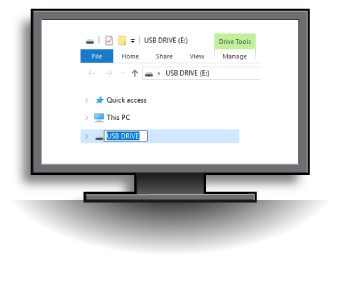 At iusb we have the lowest minimums in Australia for bulk promotional USBs. Orders are available from just 10 units in a range of styles and colours so contact us see how we can help with your next USB project. Tight deadline? No problem. We have selected a few popular styles that can printed and ready for you in as little as 48 hours. We are constantly adding new styles and colours to this range to to make sure that we have the right solution for your next urgent project. No matter when you need them contact us, we're always keen to help. Printing on USBs is what we are all about. There are a few different options available but most of the time the right one to use comes down to your artwork and the surface of the USB that has been chosen. 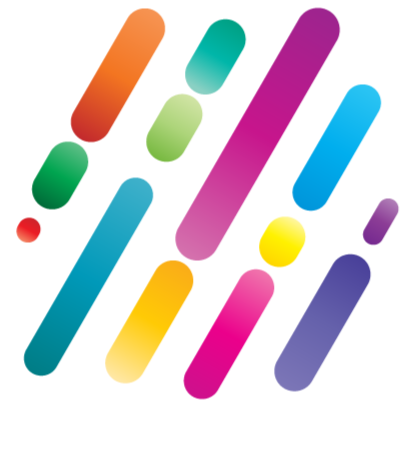 Full-Colour UV - If you have full-colour graphics or even a photo, this is the perfect method to use. Fantastic results can be achieved allowing for crisp permanent markings on almost any surface. Screen Printing - The most effective way to print onto drives with flat colours and line art. Pick up to 3 spot colours and have them transferred onto the drive. This method is best for text and logos. Artwork should be supplied as vectors files for best results. 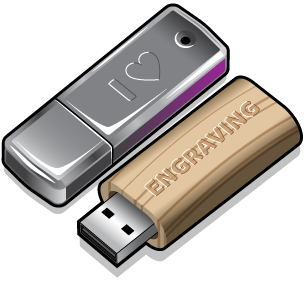 Laser Engraving - Great for both text and line art, a monotone image can be engraved onto any of the drives from our metal or wood range and some of the plastic drives. Want to make each USBs print unique? No problem! 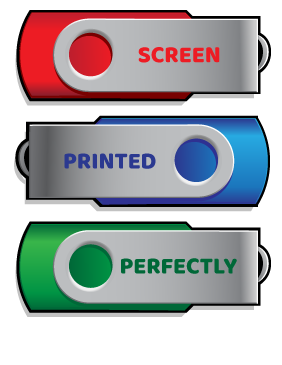 - On all our 48 hour range on USB and selected full range USBS we can print variable data such as names, barcodes or address or pretty much any text (or images) that you want. 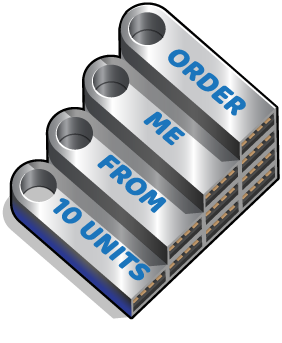 Variable data can't be quotes through our online pricing tool so call one of our promotional USB experts to discuss your next project. 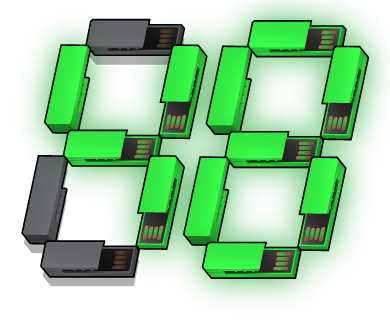 At iusb we use only A grade memory with all our drives coming with a 5 year warranty. 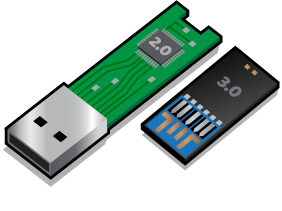 Our instant pricing tool shows USB 2.0 memory as default but we can source USB 3.0 memory as a special order. Size varies from 64MB to 128GB (8GB min for USB 3.0) with instant pricing for memory from 512MB and 32GB (for quotes outside this range please contact us for a spot price). Straight Copy - We take your data and put it on your drive, nice and simple. 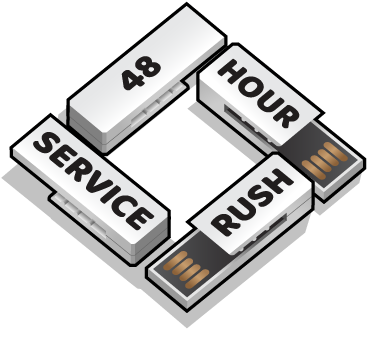 Data lock and Full Lock only available on standard turnaround USBs. If you get us to put data on your USB we can label it too! - This means when the USB is put into a computer you can have a word up to 11 characters long appear as the drive name. Make sure to let us know what you want your USB to be called when you place your order and we will take care of the rest. We know that it's not always just about the USBs. That's why we have a range of accessories and packaging that is exclusive to iusb. Keyring, lanyards, blister packs, if its related to USBs we have it. Want to know more about the packaging options we have? Click the Packaging links above or below to find out more about the range. Did you know if you just have a logo you want on your USB we will set it up for free? Just place an order and send it through, we will lay it up and send you back a proof for approval quick smart! Need something a little more? Struggling to get your design finished? Don’t quite know how to set up your artwork so its print ready? Got everything on scraps of paper and don’t know where to start? We get it. No matter where you are with your design we’re here to help. We don’t mind if you come in and sit in our studio to work out your design or if you want to work via correspondence, either way, we’re super flexible and will give you the best advice to get the most out of your project! 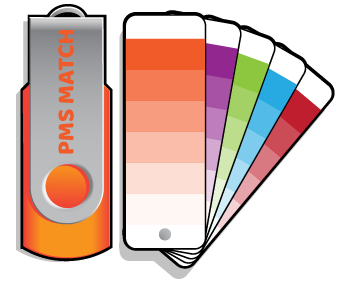 For certain models we are able to match the shell to any PMS colour that you request. 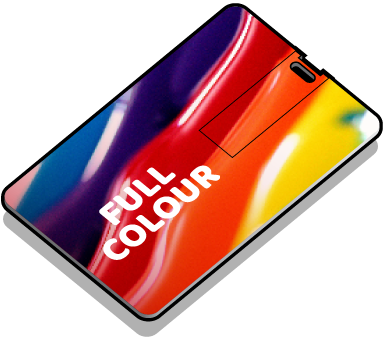 It means logos and artwork can match up perfectly allowing beautiful USBs to be produced in any colour and style. We can deliver your promotional USBs and packaging to anywhere in Australia, and we do it for free to all capital cities. Most deliveries are next day, but if you are on a tight deadline contact us to confirm your next project.